Focus on the music. Not distribution. We take the pain out of music distribution so you can do what you were made to do: Make music. 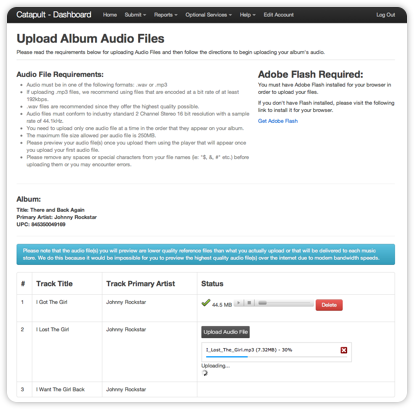 Upload your album's audio and cover art files or ship us your album(s). 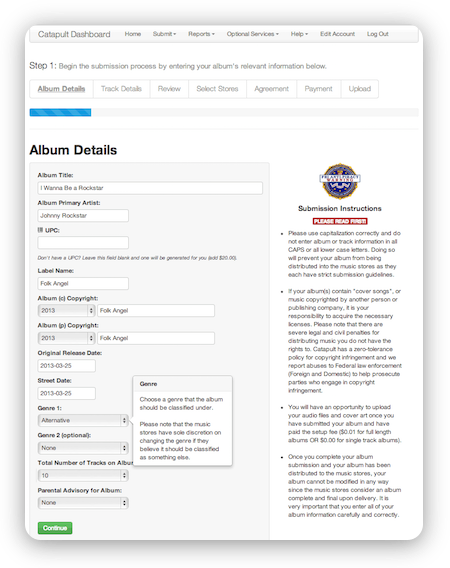 No monthly or yearly fees for distributing your albums. Offer your Albums or Singles as Pre Orders in iTunes. 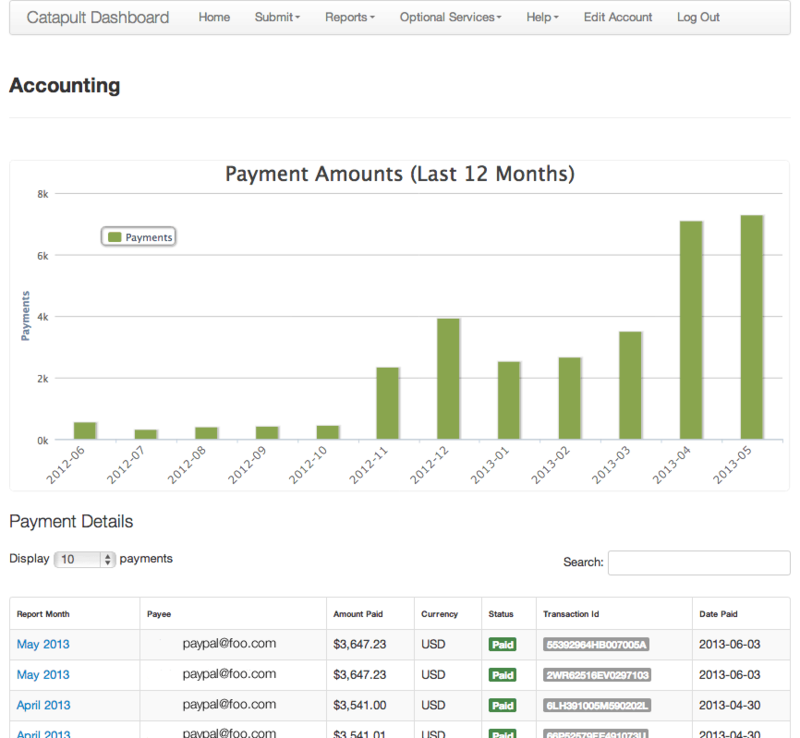 Detailed monthly reports of downloads and streams. Free automatic ISRC generation or you can provide your own. 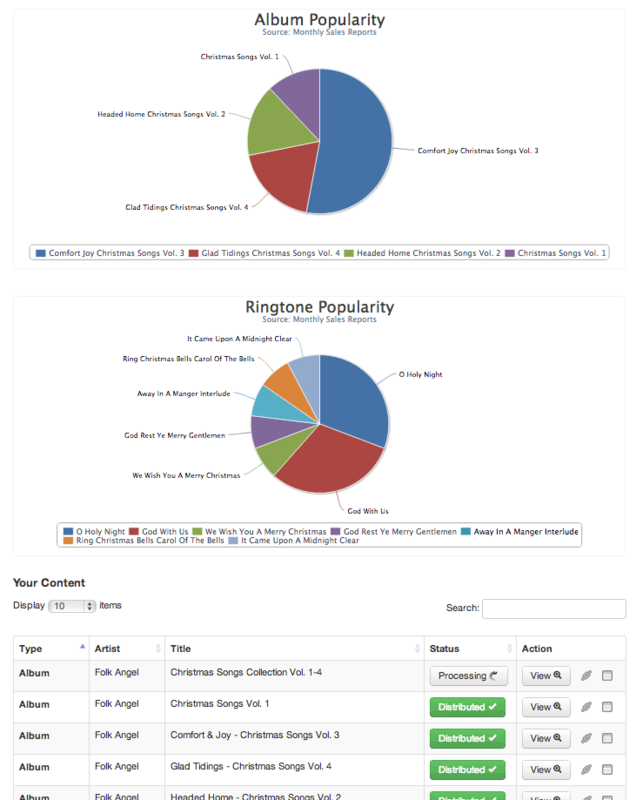 A Dashboard to manage all aspects of your album(s). Media Player(s) for pasting on your own websites. Your sales are reported to Nielsen Soundscan. HTML links for your albums in iTunes. Volume discounts are available for labels or artists with large catalogs. 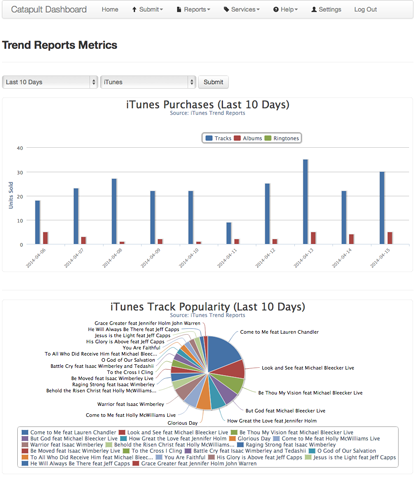 Daily iTunes Trend Reports and Metrics.